← 12 Years a Slave. How About a Lifetime in Slavery ? Mind the Gap. Your Fortune Depends on it. Just a few surprises in the latest Global Gender Gap Report, 2013 released by the World Economic Forum. For the fifth straight year, Iceland tops the list and is followed by its Nordic peers Finland, Norway and Sweden. The surprise is in No. 5: the Philippines. It’s the only Asian country to make the Top 10, and handily beats mightier rivals from Germany to the UK. The U.S. is a distant No. 23, in case you were wondering. The Philippines has steadily climbed up the ranks: in 2010 it was ranked No. 9 on the index that measures the gap between women and men in terms of economic participation and opportunity, educational attainment, health and survival, and political empowerment. The country is the only one in Asia and the Pacific that has fully closed the gender gap in both education and health, the report said. Much of the improvement can be attributed directly to President Benigno Aquino, who has appointed women in top posts from chief justice to chief tax collector in a bid to end corruption. He has even taken on the Catholic Church to push through legislation to allow free access to contraception as he seeks to reduce poverty. 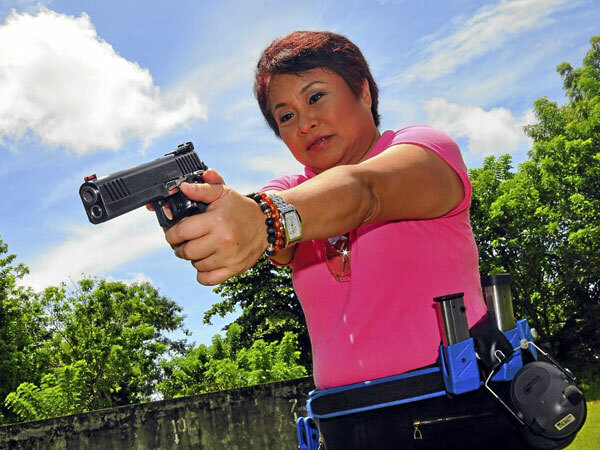 Today, Chief Justice Maria Sereno and the gun-toting head of the Bureau of Internal Revenue Kim Henares, are household names in a country whose most famous – ok, notorious – woman was known only by the extent of her shoe collection. It’s not all good news, though. While the gender gap narrowed slightly across the globe in 2013, with 86 of 133 countries showing improvements, “change is definitely slow”, the report said. And as for why closing the gender gap is important: it is not only a matter of human rights and equity; it is also one of efficiency. Little wonder then, that the Philippine economy is growing at more than 7 percent annually – second only to China in the region – and the country has been awarded its first investment-grade rankings by all three ratings agencies this year. Philippine women can take some credit for that. This entry was posted in Life, Uncategorized, Women and tagged Asia, education, gender, Health, Philippines, Politics, Southeast Asia, WEF, women. Bookmark the permalink.